If you are passionate about the outdoors and an athlete who aims high you will love the Outdoor Merino Socks. Inspired by the benefits of nature, their high-tech blend of natural merino wool and synthetic fibers offers the perfect thermal balance and unmatched wearing comfort even on cool days. The proven medi compression stabilises your ankle and arch, ensures accurate footwork up and down the mountain and enhances your coordination. 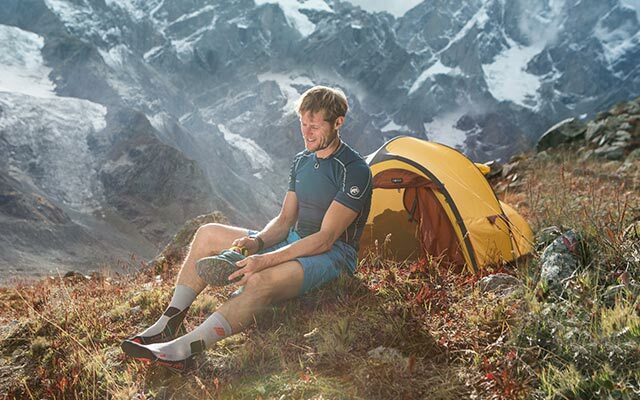 Even the longest tours are a fun adventure with the Outdoor Merino Socks.